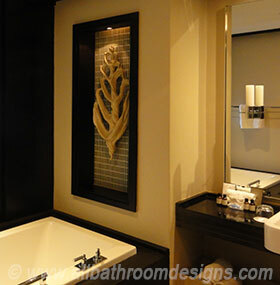 Well designed bathroom light fixtures can set the perfect tone for the start and end of your day. Redecorating your bathroom is a way to drive away the monotony and boredom that creeps in after several years of the same look and feel. Plus, redecorating a bathroom allows you to upgrade not just the appearance of the room, but also upgrade the place to be more relaxing, vibrant, and in step with the times. If you can't go in for a complete makeover, simply changing the bathroom lighting can transform a space markedly. Whether you opt for contemporary or traditional bathroom light fixtures, the finishes of these fixtures can define the look of your bathroom. Chrome finished bathroom light fixtures are probably the most sought after because they lend a modern air to the bathroom and can blend into most bathroom decors. But contemporary designs implement various materials with abandon! 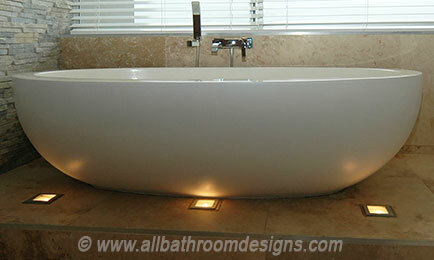 Bathroom lights are a fantastic way to achieve whatever 'feel' and 'ambience' you want to create. Besides that, they serve the purpose of providing you illumination. A single ceiling light is now passé and also inadequate. Ways to maximize the benefit of these bathroom lighting fixtures to make your bathroom decadent, cozy, warm, energetic and idyllic. What's the size of your bathroom? Do you have enough natural light filtering in? Can you identify specific spots where light fixtures can be placed for optimal effectiveness? Do you need night time lighting for any specific area of the bathroom? 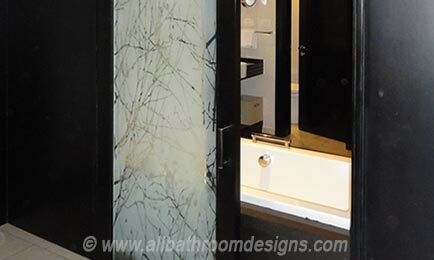 What kind of mood do you want to create in your bathroom? You will then be in a better position to work out your contemporary bathroom light fixtures requirements in order to choose the best type for each purpose as explained below. 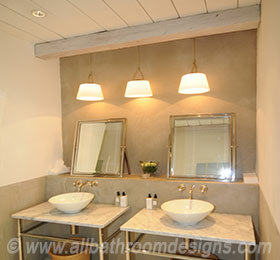 Ambient lights can be credited for creating the overall mood of the bathroom. These light fixtures are an additional source of light besides the task lights. If you have a small bathroom you can allow for a single gorgeous ceiling light fixture. However, if you have a large bathroom, a number of ceiling lights may be required. Recessed or hanging ceiling lights are fine examples of ambient bathroom light fixtures. You can also use rope lighting (come with LEDs that stretch out like a rope. Versatile, flexible and colorful) or cove lights (add a wonderful and decadent feel to the room), uplighters (standalone or recessed), or wall washers (these are similar to sconces and are limited to emitting light upwards) to decorate ceiling and individual walls. Since this is the most important type of light in a bathroom, task lighting needs to be chosen very carefully. 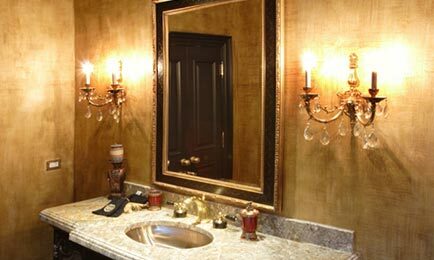 You will be using task lighting fixtures to illuminate the main task areas in the room like the vanity area, the bathing area, commode area, and dressing/grooming area (if separate). Take a look at our page dealing specifically with Vanity Light Fixtures for more detailed information. Shower and bathtub areas require plenty of light as you need to be able to clean yourself properly, avoid accidents due to slipping, read labels on the bottles etc. 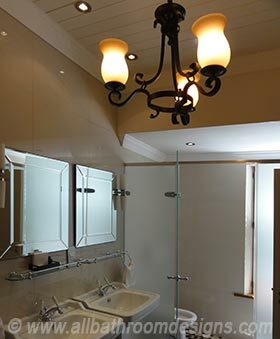 If you like modern bathroom light fixtures, recessed downlights are optimal (they are especially made for spaces with dampness) and can be installed directly in the shower's false ceiling to give out a soft glow, downlights (they throw light on the wall in a downward direction), or then a small hanging light or small chandelier would also lend an elegant touch. You need an equivalent of 75 to 100 Watts illumination in task areas. White halogen bulbs that imitate sunlight are best for all task areas. In a powder room, where the focus is on a softer and more relaxing setting, you can have much lower wattage. It's the perfect place to indulge your lighting creativity! 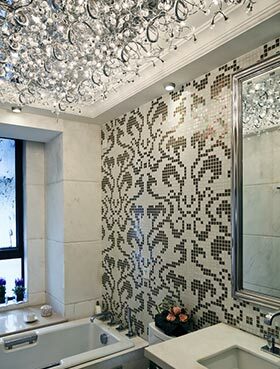 Accent lights add 'panache' to your bathroom. These fixtures are fitted in such a way that they highlight an item, object, or area that needs to be focused upon. Accent lights are a favorite of most designers nowadays because they are so effective in drawing the eye to a beautiful area or object. Use warm fluorescent bulbs or incandescent lights for ambient/accent lighting as they lend a soft orange and soothing glow that makes the skin look natural. This is purely ornamental and has no specific function. Time to look for that special 'statement item'! Having natural light in any room in the house is a big positive. However, quite often the bathroom's position on the floor plan does not allow this. Or does it? Take a look at some clever Bathroom Remodeling Designs to open up an internal bathroom to natural light. While the external appearance of light fixtures is important, the importance of the bulbs must be emphasized. 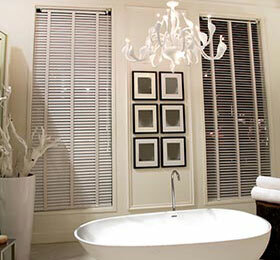 Bulbs are extremely useful and vital to set the right mood in your bathroom. From halogen to LEDs and from neodymium light bulbs (that throw a slightly bluish light closely resembling sunlight), CFLs, and incandescent bulbs are just some of the kinds available today. Halogen lamps may be a bit more expensive than standard incandescent lights, but last much longer. Translucent or frosted glass light fixtures allow light to pass through and diffuse glare, unlike with glass fixtures. Invest in a dimmer switch. 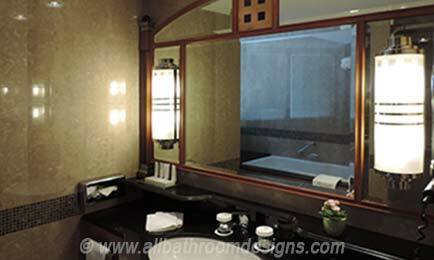 They are a wonderful enhancement and allow you to control the intensity of illumination in the bathroom. Besides, a dimmer helps save money, while granting you complete control to change the mood of your bathroom! Put the various light sources on separate switches so you can easily control the lighting in your bathroom. And do put the fan on its own switch so it does not turn on when you do not need it. The vast selection of Bathroom light fixtures allows you to find that special piece that enhances your decor.